Wondering what Tinder is and why everyone's talking about it? You're not the only one! Although Tinder has been a big hit in the modern dating world and is arguably one of the most popular dating platforms today, its success rate isn't anything to rave about. The app is mostly just super entertaining to use. Once you've downloaded Tinder for iPhone or Android, Tinder will take you through the steps of setting up your profile so you can start setting up your account. In addition to your name, age, profile photo, occupation, and short bio, you can also integrate Tinder with other apps you use—like Spotify to display a favorite song or Instagram to show a feed of your most recent posts. Tinder allows you to create an account via your existing Facebook account or by entering your phone number. If you have a Facebook account and use it to create an account with Tinder, be prepared for the app to pull information from your Facebook profile. Don't worry—nothing will ever be posted publicly to your Facebook account, and you have full control over customizing your Tinder profile the way you want. The app might automatically grab a few of your publicly available photos from your Facebook account to use to show potential matches, which you can change later if you wish. In addition to taking information from your Facebook profile to use for your Tinder profile, Tinder might also analyze any general interests, social graph data (and even the friends you have in common with one another) on Facebook so that it can find the most compatible match suggestions. To get started with finding matches, Tinder will first identify your location and then try to match you up with other people nearby. You'll be shown a handful of profiles from potential dates that Tinder finds for you. You can then anonymously choose to "like"or "pass" on any suggested date. If you decide to tap "like" on someone and they end up doing the same to you, Tinder will display a message that says "It's a match!" and then the both of you will be able to start messaging each other through the app, similar to SMS texting. Users can't message each other unless the app has matched them (with both users having to "like" each other's profile to make it a match). Once you've made a match connection and started chatting, the rest of the relationship building is totally left up to you. Some users interact with the app by using it as a serious online dating service, while others just casually browse it for fun without any plans of actually meeting any of their matches in real life. It works for both types of users. To increase your chances of getting matched up with more people, you can access the app settings and optimize your profile by increasing the location distance range in miles or age group of potential matches. You might also want to fill in as much information in your profile as possible to attract better matches. Tinder also now offers premium membership options, called Tinder Plus and Tinder Gold, which gives you more features and options. Tinder Plus offers features like the ability to undo passes on profiles, expand to other locations (great for people who travel a lot), give an unlimited number of likes and give five extra super likes per day. With Tinder Gold, you get everything from Tinder Plus as well as an extra boost of exposure among profiles in your area, additional profile filters and the ability to see who liked your profile before you decide to pass or like them back. 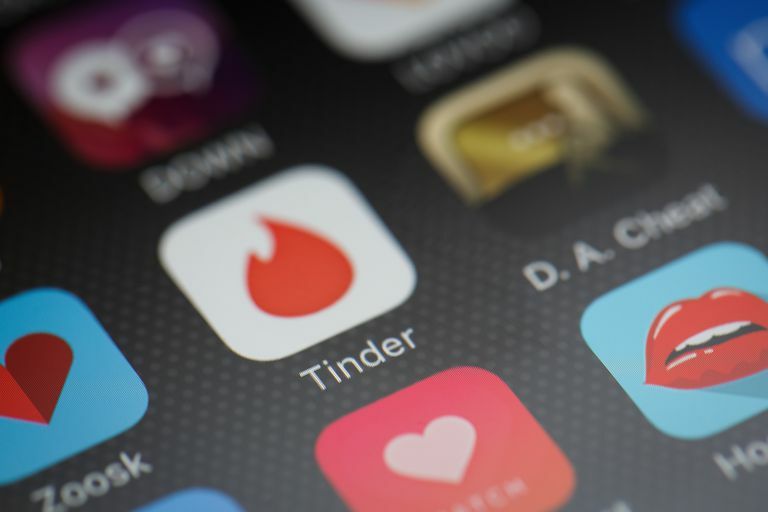 Unfortunately, Tinder has a history of dealing with problems related to the way it displays user location data, putting users at a potential risk of being targeted by predators. As with any location-based social app, the reality of potentially being stalked by anyone who can see a user's location will almost always be a potential threat. Before you decide to jump on Tinder, make sure you read all about why sharing your location online isn't a good idea. It might make you think twice about using Tinder if you're wary about sharing your location with complete strangers online.